A new survey that was conducted across five continents found that 80% of women think trans women should have equal rights. For the survey, the Thomas Reuters Foundation asked 1,000 women in Cairo, London, Mexico City, New York and Tokyo: “Should transgender women have the same rights as other women?” 798 women answered yes, with just 37 saying no. The rest declined to answer. Women in Mexico City showed the highest levels of support for trans women, with 89% answering ‘yes’ when questioned for the survey, which was conducted on the streets of the cities between August 13-24. London and New York were the closest to follow with 87% saying trans women should have equal rights in both cities. 75% of women answered affirmatively in Tokyo and 62% in Cairo. The results were particularly surprising for Cairo. While the survey suggested that less women there are supportive of trans rights than other cities, it also suggested that a majority of women are supportive. 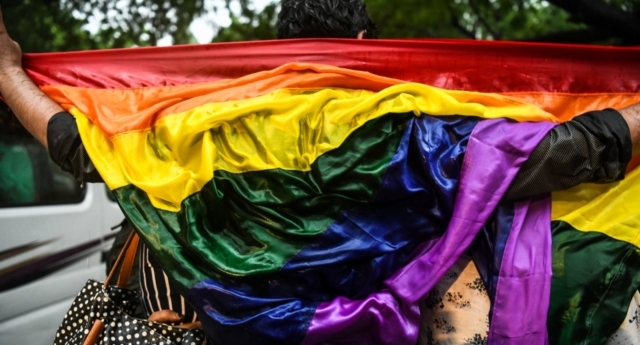 This is despite the fact that LGBT+ people in Egypt continue to face discrimination. A 2013 Pew Research Centre survey found that 95% of Egyptians do not believe that homosexuality should be accepted by society. Meanwhile, both gay and trans people can be prosecuted under a law that forbids prostitution and “debauchery”. The results may also come as a surprise to some in the UK after a number of anti-trans incidents have occurred in recent months. In July, Pride in London was hijacked by a group of anti-trans campaigners. The group carried signs with anti-trans slogans, such as “transactivists erase lesbians”, while they distributed leaflets opposing trans-friendly reforms to the Gender Recognition Act, and calling for trans women to be banned from women’s spaces. The campaigners briefly lay on the ground to physically block the march from continuing, but after negotiations with Pride staff were permitted to get up and march the entire route. There have been a number of incidents since then, including a recent billboard that was put up in Liverpool with an anti-trans message. It was taken down just days ago after it stoked controversy.